Like many women out there, I have been battling with skin issues almost my entire life. Since teenage years, when hormones came into play, my skin has experienced more downs than ups. Frustrating to say the least!! After years of trying to find a solution and being unsuccessful, I was feeling defeated. It was only now that I have discovered that I have papulopustular rosacea. Yes, it’s as bad as it sounds. Luckily I have a mild case, but I still need to take the necessary steps to see improvement. 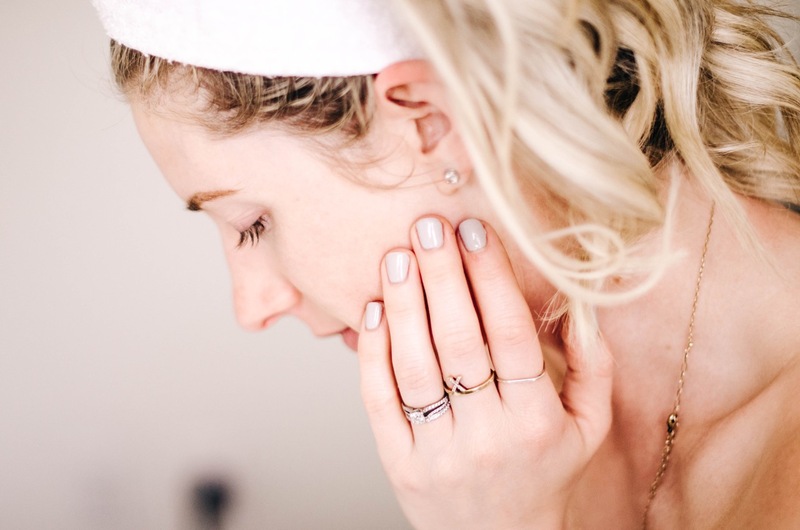 Here is how to treat rosacea, and feel better about your skin. Whether you have acne prone skin or rosacea, these treatments will help rejuvenate the skin, and reduce inflammation and redness. There are also anti-aging benefits as well, which as a mom of two, I am wanting to be proactive in that department too! A few weeks ago I began my journey to clear skin with Amanda from Raw Canvas. She was referred to me by another mom in business, who raved about Amanda’s work. I immediately booked in for a consult. That is when I learned about my rosacea, and how to treat it properly. Amanda is not only a wealth of knowledge when it comes to skin, she is also incredibly sweet. She made me feel comfortable right from the beginning, which is important when you are talking about such a sensitive subject for most women. I am always incredibly nervous to show anyone my bare face! After reviewing my skin, Amanda recommended the following treatments. We have been doing these treatments on my skin over the course of the last month, and I am definitely seeing improvements with my rosacea. 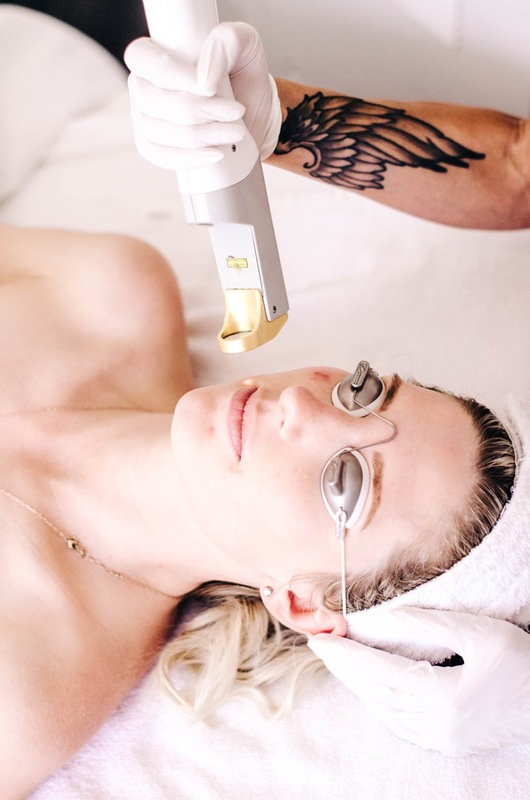 Laser Genesis – This treatment works to change the appearance of scarring, sun damage and aging. It is a painless treatment that helps reduce facial redness and pigmentation. It is also activates collagen formation to tighten the skin. I have had three treatments, and already notice the redness fading. Learn more information on this treatment here. 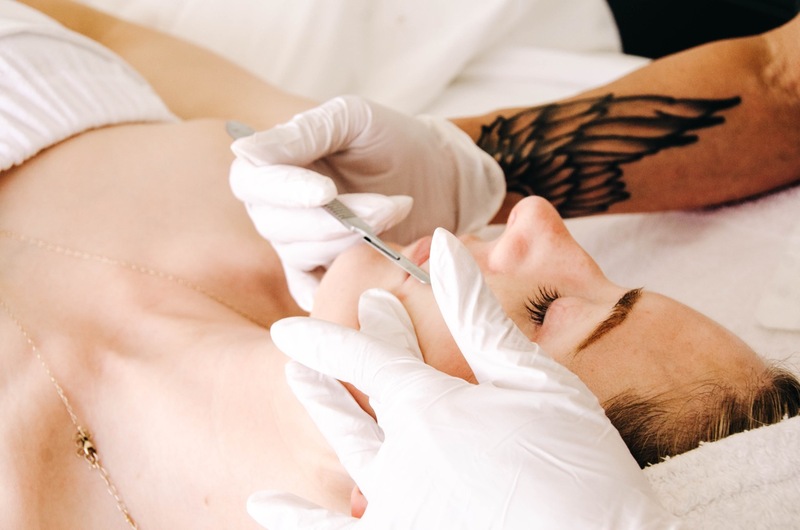 Dermaplaning – Using gentle strokes with a surgical blade, vellous hair and dead skin cells are removed, revealing a clear complexion. Keeps the skin clean, and feeling smooth. After two treatments, I am completely hooked!! Learn more information on this treatment here. 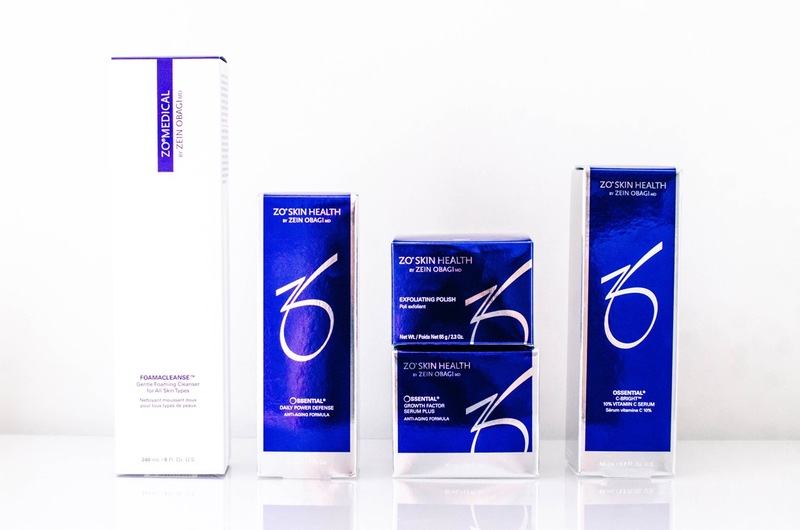 ZO Skin Health – this comprehensive line optimizes skin health. It works to hydrate and rejuvenate the skin, with calming properties. Great for acne prone skin and rosacea. I especially love the Offects exfoliating polish for removing dead skin cells! 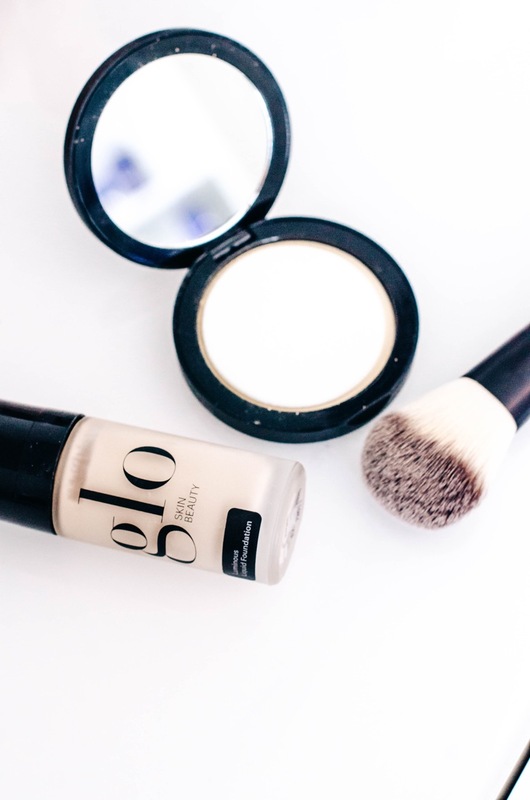 GLO Skin Beauty – This mineral based makeup line works wonders for covering up redness, without irritating the skin. I have been using the oil free camouflage concealer for over a month now to cover red spots and dark circles under the eye. It works so well! Want to check out the Raw Canvas studio?? Here are the services they offer. Rosacea and acne prone skin are incredibly difficult to care for. There are so many products and services out there, that you have to find what works for YOU. I am so incredibly thankful to Amanda for educating me on rosacea, and steering me in the direction through treatments, skincare and makeup. We have teamed up for Mother’s Day to gift ONE lucky Mama a special treatment at Raw Canvas studio!! Enter below for your chance to win the following. This AMAZING prize is valued at over $400!!!!! So make sure you enter 😉 Good luck! Great post Samantha! I’m some what obsessed with skincare and I really love reading what works and doesn’t work for people. I have learned so much in the past year… and with so many products on the market it really makes it hard to find what’s right for you! I truly believe going to a spa and getting treatments and a skincare line that is right for you is the way to go! I’ve heard wonderful things about Zo and they are obviously doing wonderful things for you because your skin always looks so flawless! What an incredible giveaway! What better gift than clear, beautiful skin. Hi Samantha, I recently read your post on skin care. I have adult acne after having two kiddos! I would love to know more about Laser and Chemical peels. This would be a treatment I think I might need. Cheers! I am also a (undiagnosed) rosacea sufferer! I’m originally from the maritimes, and had mild skin struggles there, but nothing compared to what I’m dealing with now while living on the west coast. Either way, these spa treatments sound amazing and I would try just about anything to get rid of this redness! I would try Laser Genesis. Would love to try for my skin issues. Thanks for the reco! 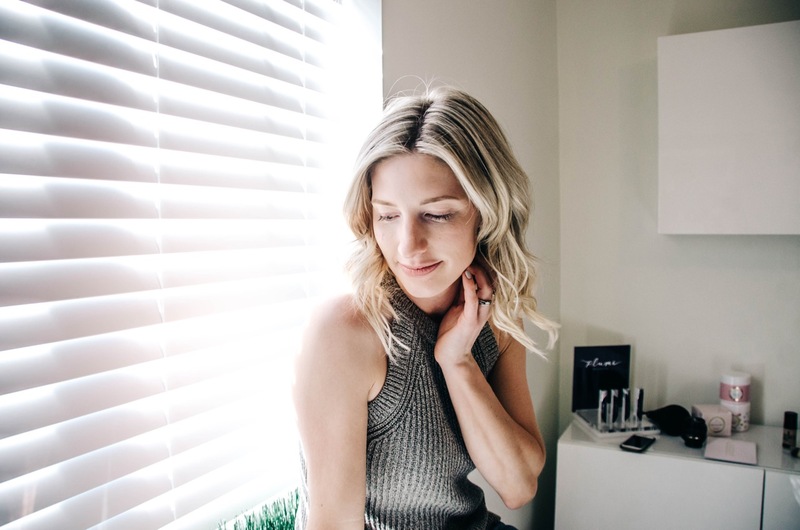 I would love to try the microneedling! All the treatments sound so great but I think the laser genesis is something I could really use. Awesome giveaway! I would absolutely LOVE to try Skin Genesis for my sun damaged skin! Great article with sooo much helpful information!